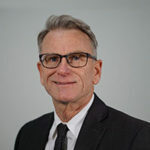 Ken Carr brings over 30 years of finance, technology, data analysis and reporting experience in the health and human service field to OPEN MINDS. He currently serves as a Senior Associate with the OPEN MINDS consulting practice. In this role, Mr. Carr serves as a subject matter expert in the OPEN MINDS consulting practice where he has led numerous engagements in strategic planning, merger and acquisition prospecting, business process improvement, managed care and value-based contracting preparedness, financial analysis of service lines, and technology selection. Prior to joining OPEN MINDS, Mr. Carr served as the Chief Financial Officer for Elite DNA Therapy Services, a mental health provider based in Fort Myers, FL. In this position, Mr. Carr led development of the strategic plan, identified opportunities to optimize the EHR, and restructured financial reporting and analysis by service lines and key metrics. Prior to his role at Elite DNA Therapy Services, he served as the Chief Financial Officer of The Centers, a community mental health center in Ocala, Florida. In this position, Mr. Carr led a realignment of the organization’s financial management functions. This included revenue cycle management, EHR bill implementation and reporting, cash management enhancement, and strategic financial analysis. How Should Consumers Pay For Your Services?